From espn.co.uk – Kimi: “I said after Australia that if we had been behind them in the race I didn’t think they would have pulled away. It’s not as far as people think. All the circuits are slightly different and all the conditions are slightly different and one car works a bit better in one place and another is better at another. Maybe we are not where we want to be exactly but if we compare where we were last year we can be really happy, at least right now, from where we finished the season. There’s still work to be done to be happy with all the things but that’s why we are here. It was relatively less chaotic compared to previous years. 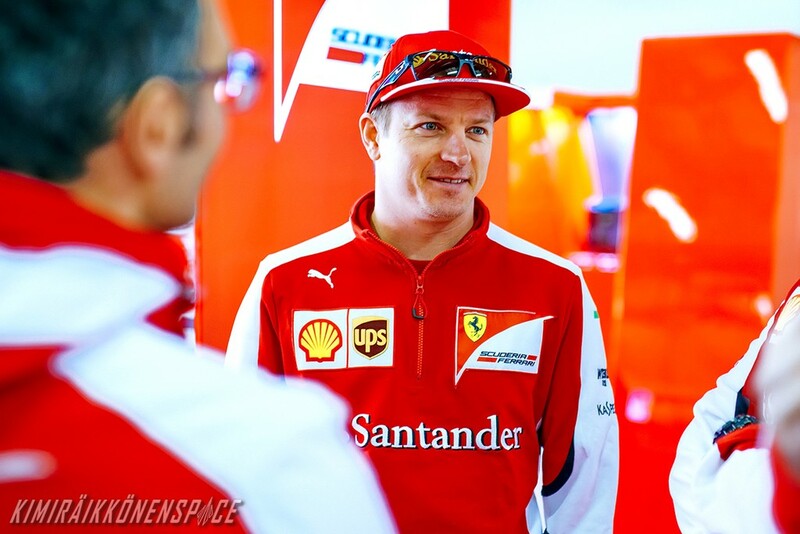 Kimi arrived in Shanghai as late as possible on Thursday directly from Helsinki, Finland. I really hope that Kimi’s luck will turn around and he can do really well this weekend!